This page is for the use of 2018 GSDCV members only. If you were a financial member in 2017, and did not renew (you had until 31.12.2018) you must contact the Membership Officer. 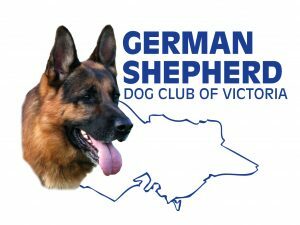 If you are interested in joining as a new member of the GSDCV, please return to the membership page for more information. You will need your GSDCV membership renewal notice (that you received in the November Shepherd News), with your membership number and your credit card details. Note that you may only renew your membership online if the name and membership category listed on your renewal invoice are correct. If you need to make any changes, please contact the Membership Officer. To proceed with your online renewal and payment, enter your Name and Membership number below. If you need to update any of your contact details (as listed on your invoice) please fill in the appropriate areas below. Please read, understand and accept the Membership Statement at the bottom of this page. A copy of the GSDCV constitution can be accessed here. Then click SUBMIT to accept. You will then be redirected to continue and proceed to the secure page for payment (NAB), where you MUST enter your membership number when the reference number is requested, in the required format. Your outstanding payment details will then be displayed, then you MUST enter your credit card details for payment. Failure to complete the entry and approval of your credit card details will result in NO payment, and you will not have completed your membership renewal. Please follow every step carefully.